Founded in 1904, the city of Kennewick, Washington has developed since then into a beautiful, bustling cornerstone of the Tri-Cities area of southeastern Washington, offering numerous recreational activities and countless beautiful homes. While Joe & Colleen Lane may not have been around in 1904 at the city’s inception, 20 combined years of experience in real estate has helped the Lane Real Estate Team develop a high level of knowledge and expertise in guiding real estate transactions through an efficient and beneficial process. 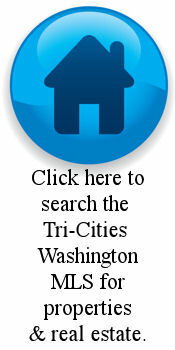 All Kennewick Wa homes for sale can be viewed using the Kennewick MLS search. Kennewick, Wa., and the rest of the Tri-Cities region is a quickly growing area that represents the largest population center in southeastern Washington. With marquee attractions like the annual Water Follies that showcase hydroplane boat races on the Columbia River, Kennewick is becoming an increasingly attractive place to call home. Located near the confluence of the Yakima, Snake and Columbia Rivers, Kennewick provides beautiful surroundings to live and play. The strong connection Kennewick has with the rivers that run through and around it has given water-based activities like boating and fishing a great place to call home. In addition, the beautiful surroundings typical of Washington and the rest of the Pacific Northwest offer beauty and opportunity at every turn. The local Toyota Center houses the Tri-City Americans of the Western Hockey League as well as one of the Arena Football 2 teams, the Tri-Cities Fever. The opportunities for entertainment in Kennewick are as varied and diverse as the homes that make up a thriving real estate market in the area. It is this beautiful mix of homes and people that makes Kennewick, Wa., such an attractive place to work and live for so many people. As Kennewick Realtors®, Colleen and Joe Lane are well aware of that beauty and diversity. For 20 years, each home, investment property and multi-family home that was bought or sold with the help of the Lane Real Estate Team added to the experience level of Colleen and Joe Lane, producing real estate agents with an intimate and personal knowledge of the Kennewick area and an attention to the needs of those they represent. Buyers can rest easy in the knowledge that Joe and Colleen Lane have seen and experienced every part of Kennewick, leaving both of them well prepared to show homes of any type in any desired neighborhood. With real estate agents that committed to an area, the process of connecting the needs and wants of a buyer directly to a tangible home because a much shorter, more precise exercise in delivering the “good old-fashioned quality service” that Joe & Colleen Lane have always strived to provide. For sellers, the combined experience of the Lane Real Estate Team, armed with marketing techniques that have been effective in the Kennewick area like MLS listings and other efforts,can turn a slow moving sale into a brisk moving one in no time. Real estate agents well connected to the local real estate market, like Joe and Colleen Lane, are the real estate agents most likely to guide a smooth and pain-free transaction. With so much time and effort spent in the Kennewick real estate market, the Lane Real Estate team can offer just that. No matter what your real estate needs, if you are looking at the beautiful, scenic Kennewick, Washington area, the Lane Real Estate Team of Colleen and Joe Lane has the local knowledge and expertise to accomplish your goals quickly and efficiently. Time-tested experience in real estate, specifically Kennewick real estate, leaves Joe and Colleen Lane the premier choice for real estate services for individual Kennewick Wa homes for sale, investment properties, duplexes, and multi-family homes in the Kennewick area. Looking for some great Kennewick recreational options in the beautiful, flourishing city of Kennewick Washington? Kennewick, the largest and most populous city of the three communities of the Tri Cities, offers plenty of things to see and do in the area, whether you’re a local, visitor, tourist, just passing through, or seeking out your real estate options…[more Kennewick Wa Recreation].